1 where is the forbidden city | This Blog Rules | Why go elsewhere? China is one of the most beautiful countries in Asia. While there are many fascinating sights to see, the Forbidden City remains one of the country’s most important landmarks in Beijing. The mere mention of the Ancient Forbidden City creates images of the unattainable. Actually, the city was off-limits to outsiders for a very long time. It was only in 1925 that the Gugon, as it is now called, opened to the public. Nowadays, everyone can experience the interesting history of the Ming Dynasty and revel in the deep secrets of China. What is the Forbidden City? – It is the impressive Imperial Place constructed by the Ming dynasty which has served emperors and their households for over 500 years. Zijin Cheng, the Forbidden City China, is currently listed by UNESCo as the largest collection of preserved wooden structures. It spans over 720.000 sqm and holds approximately 900 buildings and 9.999 rooms. 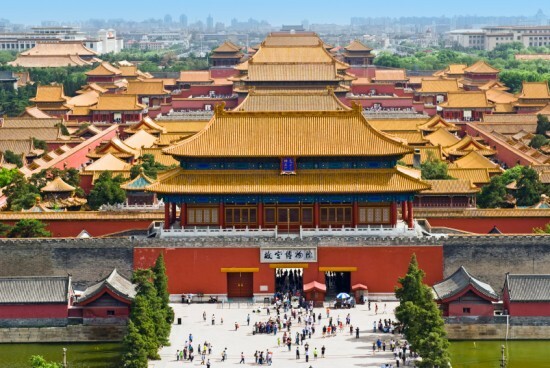 The impressive architecture & furniture of the Forbidden City dates back to 1406, and re-tells the story of exactly 24 emperors from the Ming and Qing dynasties. According to Chinese culture, the construction required over one million workers (and 100.000 artisans). The Forbidden City is an architectural master-piece with great cultural significance. It measures 961 meters from north to south, and 753 from East to West. 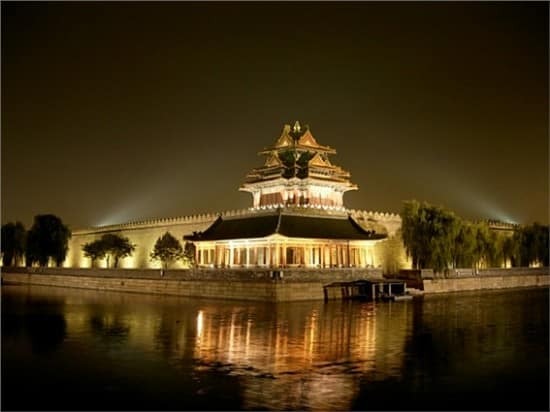 It was designed as the cradle of ancient Chinese culture, within the city of Beijing. The monument is enclosed by a walled area called the Imperial City, and the Imperial City is also enclosed by the Inner City. Even if it ceased to be a political center, the China Forbidden City still plays an important role for society: it remains Beijing’s central axis that leads to the Tiananmen Square & Gate. There are also historical facts which support the theory that the other axis was aligned to the country’s secondary capital, Xanadu. The Plan of the Forbidden City is divided between the Inner and Outer Courts. This means that you can visit any of the following places: The West & East Glorious Gates, the Gates of Divine Might, Hall of Literary Glory and Military Eminence, Hall of Mental Cultivation, Palace of Tranquil Longevity, Southern Tree Places, the Palace of Heavenly Purity (of Providence) and the Gate & Hall of Supreme Harmony. If you do not have time, or are not allowed to check all these locations you can also take virtual tours online. It is also advised that tourists take a look at the map and pictures of the Forbidden City before visiting it so that they have time to see everything. Another good idea would be to book hotels or an inn in Beijing, closer to the Forbidden City. Most of the visiting time will be focused on the Forbidden’s City sequence of pavilions of beautiful courtyards. Literally every rock has a purpose in the entire ensemble of the garden, and every element of architecture has unique symbolism. One of the most breath-taking locations is in the Inner Palaces, where the Ming Emperors resided. The Hall of Mental Cultivation, a place where many rulers lived and held court, are now home to inumerable objects of great value from that age (household objects, jewelry, furnishings, furniture, etc.). Some have described this art as “Manchu Frumpy”, given the dearth of other authentic recreations, but it should clearly not be missed as it echoes the age of a forgotten era. Besides walking through the large courtyards, you can also enjoy a spectacular view of the Forbidden City from the north, atop of Coal Hill (Jingshan Park). This hill was made from the dirt excavated from the Forbidden City, and accoridng to Feng Shui, it keeps evil spirits away.